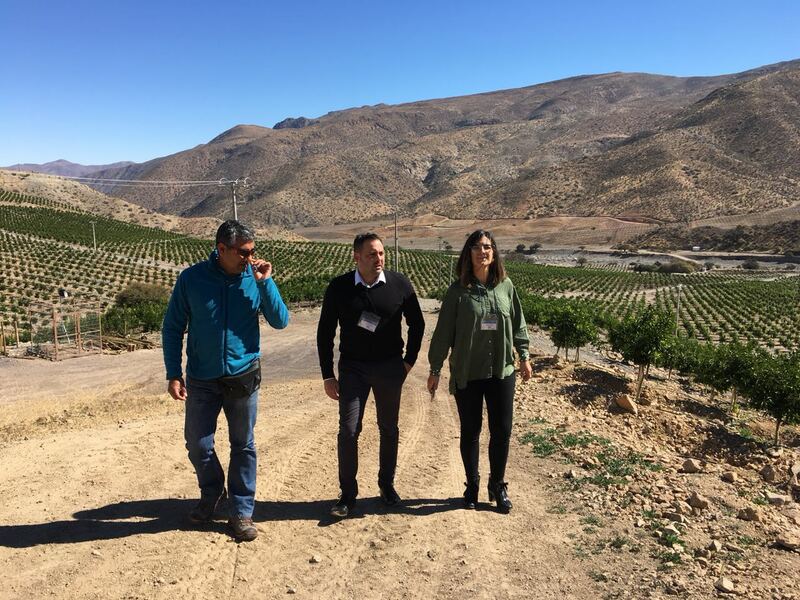 Visits of Jose Angel Triviño and Gema Pérez for South America keep going. In this case, they have traveled to Chile to provide technical support to the technicians and sales people of one Vellsam distributor in Chile. They had also meetings with farmers in the area to explain who Vellsam is, where it comes from, and most importantly, our exhaustive quality controls on the products and the meticulous work we do in formulation. Subsequently, the Product Range developed specifically for Chile that has 4 product lines is explained: amino acids, deficiency correctors, plant health and other specialties. Different fertigation programs were exposed based on the range of products that we work with them, being the majority crops Aguacuate, Table Grape and Blueberries. We carry out field work, visiting their farms to advise them, verify the correct use of our products and provide them with advice to maximize and improve their crops. Here below yoy have a small gallery of their stay in Chile.